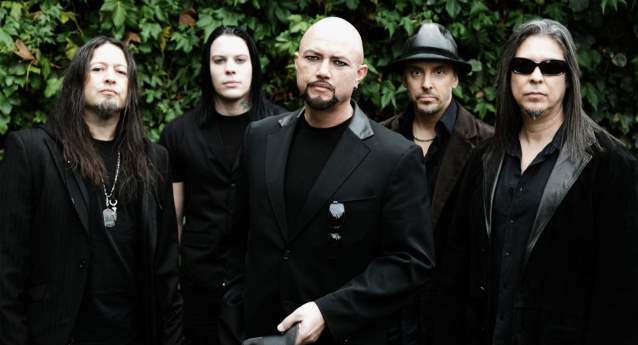 Singer Geoff Tate — who was fired from the Seattle progressive rock band QUEENSRŸCHE in 2012 after fronting it for three decades — has revealed to AL.com that he currently is involved "in settlement talks" with his former bandmates over the rights to the group's name. Tate and his wife, Susan, QUEENSRŸCHE's former manager, filed a lawsuit in June 2012 asking the judge to award them the rights to the band's name in exchange for Tate paying Eddie Jackson (bass), Michael Wilton (guitar) and Scott Rockenfield (drums) the fair market value for their interests in the QUEENSRŸCHE companies. Wilton, Rockenfield and Jackson filed a countersuit against the Tates in which they accused Geoff of creative obstruction and violent behavior, and Susan Tate of questionable business practices. While ruling against Tate, the presiding judge determined that there was no legal hurdle in Tate also using the name with an all-new lineup of musicians. "I don't see any reason that Mr. Tate can't have the benefit, if he gets other members, of whatever name he uses of using the brand," Superior Court Judge Carol A. Schapira said during the July 13, 2012 court hearing. "I think [doing that would be] inherently confusing, although I'm sure the market can get these things sorted out," she added. Asked by AL.com what his ultimate goal of the court proceedings is — to get the original lineup of QUEENSRŸCHE back together or to win the name and continue with this band, Geoff said: "Right now, we have two QUEENSRŸCHEs, which is way too confusing to fans. We have to give someone the name and someone has to pay the other person off. We're in settlement talks now, and I hope that we can come to a conclusion in the next couple of weeks." Wilton, Rockenfield and Jackson last year accused Geoff Tate of "continu[ing] to harm the QUEENSRŸCHE brand" since the Tates' original lawsuit was filed in June 2012. In a court document, they wrote: "The newest self-titled QUEENSRŸCHE CD release by the [Todd La Torre-fronted version of the band] entered the U.S. charts at #23 and continues to get 9-out-of-10-star reviews and is still selling very well on a weekly basis around the globe. In comparison, Geoff Tate released his own QUEENSRŸCHE CD in April of  titled 'Frequency Unknown' and depicted as F.U. on the cover, which entered the charts at #82, received very bad reviews around the world, and has slowed to almost no more weekly sales. [The Todd La Torre-fronted version of QUEENSRŸCHE's] new CD even outperformed the last two CDs of them with Geoff Tate, selling more in a month than the 'Dedicated to Chaos' CD has since its release in 2010, and charting much better than both that album and the previous one, 'American Soldier'. 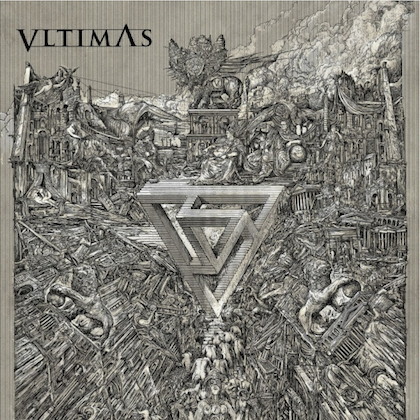 Thus, the return to the classic sound [Tate's former] bandmates have made with the new CD and live shows has been met with overwhelming success." They added: "Geoff Tate also chose very poorly in hiring live musicians that have shown that they are not capable of representing the correct performances of the QUEENSRŸCHE music legacy, and he was constantly replacing them. He has been offering his low-quality version of QUEENSRŸCHE to the promoters at a much reduced rate, as low as $10,000 per night, when, in fact, [his former] bandmates have done their best to keep the authorized QUEENSRŸCHE at an average of well over $20,000 per show this entire year. However, this becomes harder and harder with Geoff Tate's sub-par band and cut-rate pricing that continues to be damaging to the QUEENSRŸCHE brand and legacy no matter who ultimately wins control after trial." In an interview with The Oakland Press, Rockenfield said said that "negotiations are ongoing between Tate and the singer's former bandmates and "there's still time for anything to happen between now and [the start of the trial in January 2014]." "I think our confidence is pretty high," Scott said. "There's a lot of legal stuff you have to deal with, but we just feel good and look at it as a light at the end of the tunnel and keep playing shows and making music. I think when you do that, the right decision will be made in time."